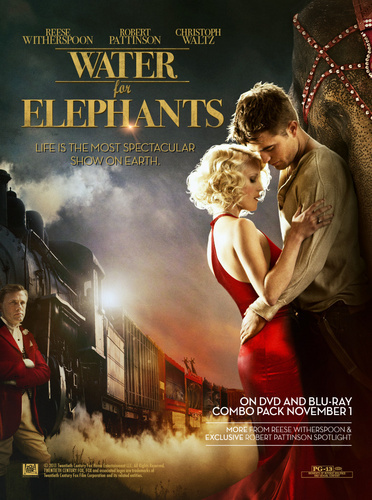 “Water for Elephants” Blu-Ray/DVD Ad. . HD Wallpaper and background images in the Water for Elephants club tagged: water for elephants ad movie dvd and blu-ray. This Water for Elephants photo might contain concert, anime, bande dessinée, manga, and dessin animé.